Zheleznogorsk, Krasnoyarsk region, Russia. About Zheleznogorsk. • 1&1 American Web Hosting - Special Offer! 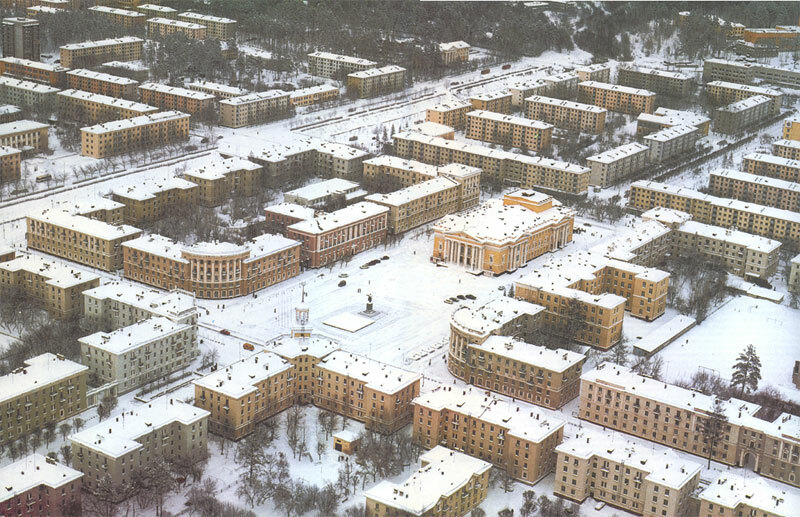 Soctown, Iron-city, Krasnoyarsk-26, the Nine, Atom-town, Zheleznogorsk - these are only few of the names attributed to a small restricted settlement which is to be found near the Enisei river, beiween great forest-covered hills. The town history cannot be separated from that of the Mining Chemistry Plant, the Space Research Enterprise of Applied Mechanics, of Siberia Chemical Building Company (the latter's former address used to be mailbox 9, hence one of the town names), and of many other industries, whose stories are to be told later. In the year of 1950 the CPSU Central Committee together with the Counsil of Ministers had issued decree N 326-302, 25.02.50, concerning the building of a Mining Chemistry plant near the Enisei river. The years of "cold war" had dictated the necessity to build such industries in order to increase the defense potential of Russia. The railroad had been built, and the town started to grow. In 1951 the first streets - Lenin Street, School Avenue, Station Place - were given their names instead of numbers (1, 2, 3...) they had possessed for some time. The official founder of the town is Colonel Arcadii G. Andreev, who had started his career as Chief Engineer, and later became Construction Director. One of the main streets of the town carries his name. 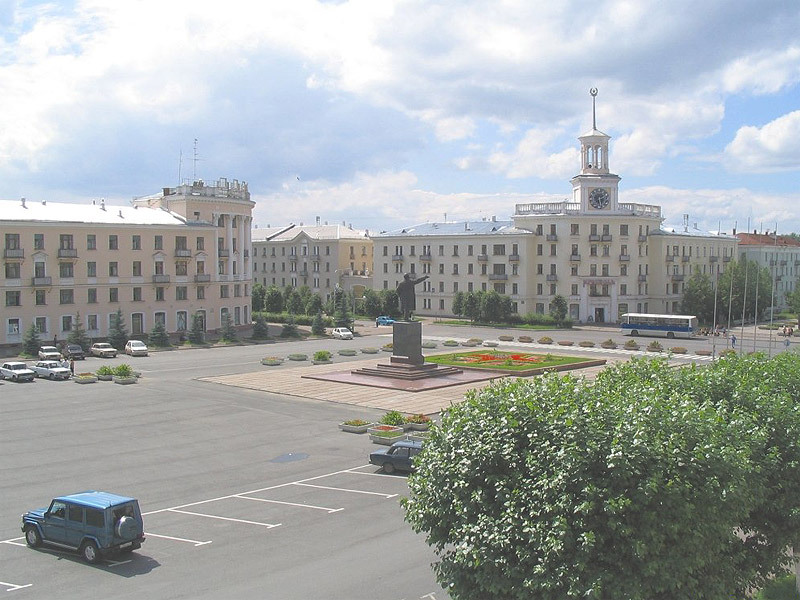 In 1954 Krasnoyarsk-26 had been officially recognized as a town, and the first election into the Town Counsil had taken place. This year is considered as a starting point in the history of this "invisible town". Since 1957 the town square can boast of a graceful and decorative building - the Palace of Culture - built according to the individual project by a well-known Leningrad architect, B.G.Mashin. He had directed the building from the foundation to the stonework, and had chosen and bought different items of the Palace interior in Leningrad and Moscow. A small river of Cantat had been carrying its water for centuries towards the Enisei river, but the people had created a dam and a great pit to block its way. Now the town is proud of its big man-made lake, frequently visited by holiday-makers in summer, and by fishermen in winter time. From the very first days, when the town had existed only on paper, the builders had decided to leave untouched the forest near the lake, and to turn it into a park. Years of tender care had brought their fruit, and now the town park, with shadowy narrow paths, cozy pavilions and spacious playground, has been turned into a real gem, the pride and delight of the whole town. Zheleznogorsk have a museum. We had been lucky in this respect. There are still some people who reverently preserve the memory of our ancestors. The town museum is compraratively young, but the people working there had collected a great amount of most interesting items. The archaeology hall displays the mammoth bones and tusks as well as bones of fossil rhinoceros, that had been found during the construction of one of the town industries. There is also a grave of Enisei Scythian attributed to 1th years BC, sacrificial altars of the ancient dwellers of Kirgizsky Kaganat and many other objects of interest. 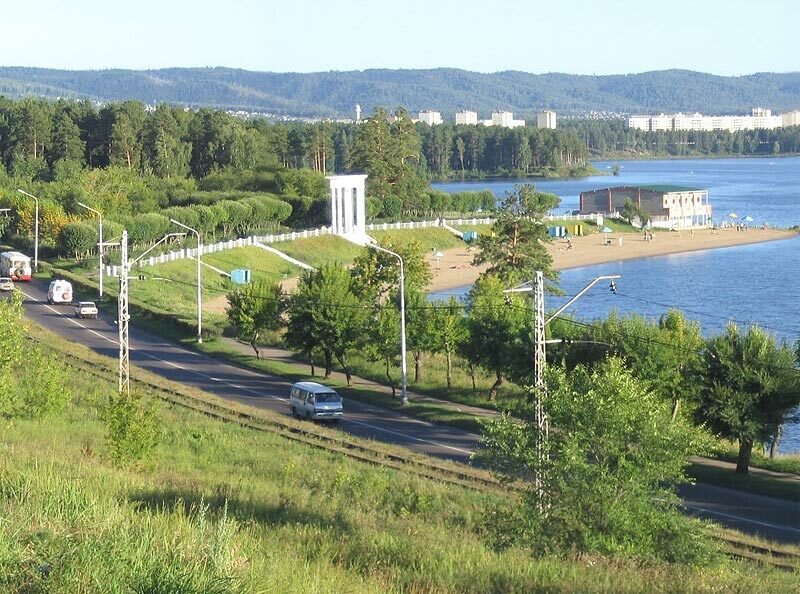 Forty years had passed by, and now Krasnoyarsk-26 (Zheleznogorsk now) is no longer a tiny settlement, but a well-developed town. Though it is not big, it is remarkably peaceful and comfortable. The occasional visitors to the town often turn into regular guests, coming back again and again. The secret of this attraction probably lies in wonderful feeling of relaxation, calm and peace of mind that our town is able to induce. This goes in sharp contrast with the soot-covered, noisy industrial centers and big cities, and is especially important in our difficult time. Still, what is the use of complaining? What cannot be cured, should be endured. The changes that our country had suffered in the last ten years had considerably shaken the established routine of the town life. The Atom-town is no longer "the outpost of socialism", and though it still keeps the "restricted town" title, it shares equally with the whole Russia the disappointments and hopes for the best future. Regardless of all difficulties, the life is going on, and new pages are added to the story of the small town "in the depths of Siberia mines". Time will show what these pages are going to be.